The Ramada Limited Cockeysville is situated in a suburban Baltimore area known as Hunt Valley and Timonium at Exit 17 off I-83. The Ramada Limited Cockeysville offers guests easy access to all Baltimore attractions via the Timonium Light Rail Station (1 mile) including Baltimore's famous Inner Harbor, Orioles Park at Camden Yards, Ravens Stadium and Pimlico Racetrack. Accessible to many Universities and Colleges such as University of Maryland Baltimore Campus, Towson University, Loyola College, Villa Julie, Morgan State, Goucher College, Notre Dame of Maryland and John Hopkins Medical Center are all within a comfortable drive. The Ramada Limited Cockeysville features complimentary High Speed Wireless Internet Access, Continental Breakfast and USA Today. 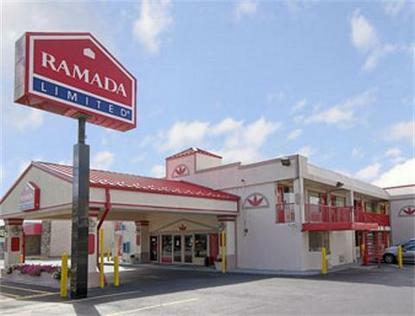 The Ramada Limited Cockeysville is one short mile to the Maryland State Fair at Timonium Fairgrounds.